Empowered Bolivian housewives win an American Award! The recognition Uniting the Americas is awarded by Brian Rashi and consists of $5,000 dollar incentive, plus training in Silicon Valley. Mujeres a Volante, a venture of Bolivian taxi drivers, won the Uniting the Americas award from Brian Rashid in the United States, consisting of $5,000 dollars of incentive and training in Silicon Valley. The project was recognized for providing safe transportation to the population; in addition, to offer housewives a source of work and income. “It fills us with a lot of pride (the prize). 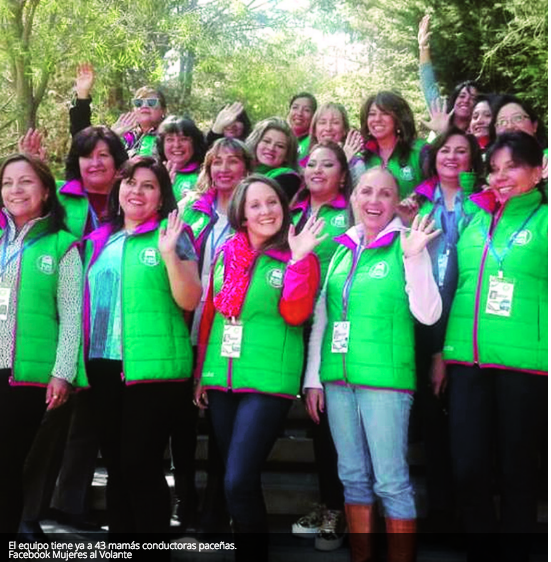 We feel that the work of Women at the wheel is having an international impact,” says Gabriela Strauss, one of the founders of the La Paz women entrepreneurship. Ensures that this transportation initiative contributes to citizen security. Women at the wheel seeks to “empower” housewives by offering them economic independence. Today, 43 moms are part of this project, which has 15 months of operations. “We transport elderly men and women to their physiotherapy or hairdressing. We exclusively take care of the children of the school, with the care and affection that an aunt can give them”, mentions Strauss and guarantees the special treatment that the conductors offer their clients. The achievements of the initiative were recognized by the American contest, Uniting the Americas. In this international entrepreneurship competition, 250 projects from 17 countries with social, technology, tourism, environmental, electronic commerce and other topics participated. The winners were, finally, the projects of Guatemala and Bolivia. The prize consists of a “seed” incentive of $10,000 for both winners and a trip to Silicon Valley, southern California, at the end of September. It’s not about a vacation or a tour. But a series of trainings with the purpose of making entrepreneurs aware of international executives and investors. Representatives of companies such as Google, Facebook, Über and others will be present at the meeting, sponsored by Brian Rashid. “It will allow us to reinvest and boost the business we have,” says Strauss. Ensures that the trip is a great opportunity to receive advice and carry out this and other new projects. “There are many things that you do not know and at the beginning you can screw up. Having the advice and guidance of such successful companies is invaluable,” she says. Women at the wheel was officially born in April 2017 with five drivers for the transportation of children and seniors. The enterprise had such a good response that it extended its services to designated driver. In this case, a designated taxi driver drives the clients’ cars after a party. The objective is, in addition, “to avoid the fines that are up to Bs1,500” for alcoholic breath. The founders of Mujeres al Volante now want to expand their project by opening a line of radiotaxis that will also be conducted only by mothers. “We want to be at the doors of the clubs, the parties of 15 birthday celebrations and that people can call us 24 hours a day,” says Strauss. She emphasizes that her ventures are focused on the care of families. Brian Rashid. A recognized expert in brand and messaging of the world. He is the creator and senior officer of A Life in Shorts, a modern digital media and communications company. Advice. Work with brands of all sizes, from reputable corporations to small businesses and entrepreneurs. It helps them monetize their products, services or ideas. Companies. Provides to major brands such as Intel, Linkedin, Twitter, Credit Karma, KPMG, Cisco Systems, Credit Suisse, as well as small businesses and entrepreneurs. Winners. The winners of Uniendo las Américas will receive $5,000 and the advice of Brian Rashid. Bolivian Thoughts sends lots of Kudos to these fantastic women!